← The Rebellious Years……Turning On ! First l made a little girl………. 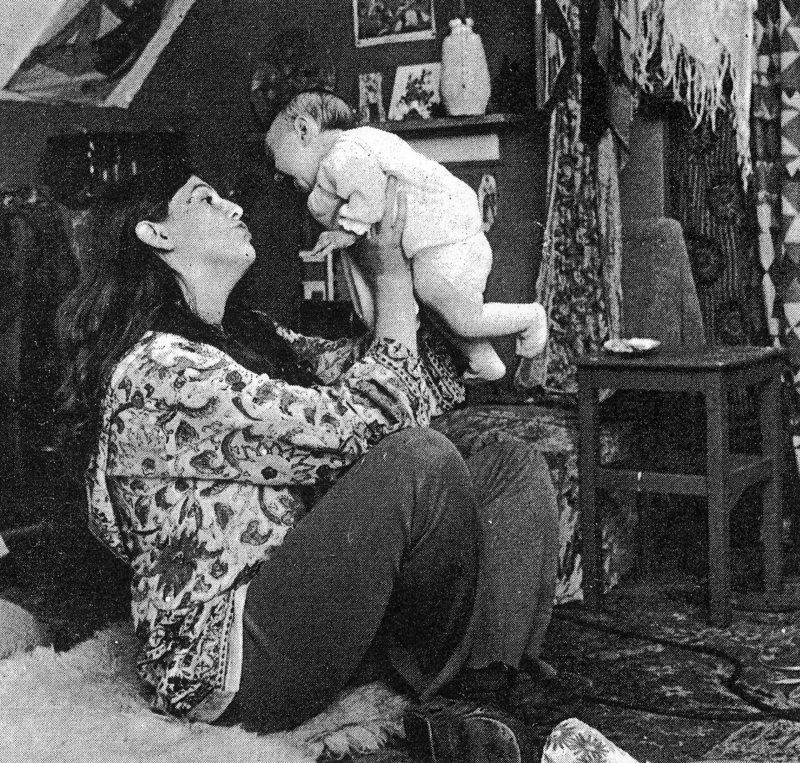 Corrina born 8:25am, 13th May 1971, she was 10 days late and weighed 7lbs 1oz……..She was so cute! And tiny, tiny! I went into labour at 1am of the 13th May and my husband Kevin (Ray) was at work, he worked nights at a factory at this time, but before l had time to call him, he walked through the door……l don’t know who was most shocked? Him, to find me in labour, or me, seeing him home as if he somehow knew, telepathically or something that l was in labour…..So weird! He just appeared as if by magic after my first labour pain, before l had even sent for him, apparently he was sent home from work because of a terrible toothache!…….He was disputing whose pain was worse ha ha! Men are such babies! I made a boy (Well, we made a boy ha,ha! 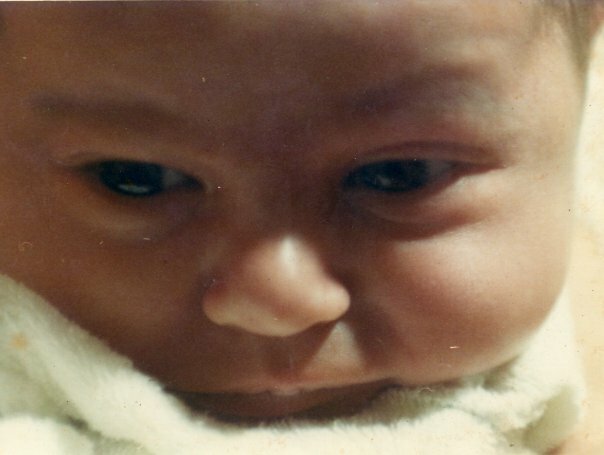 )…….Joel was born at dawn, 6:58am, Wednesday 15th November 1972. 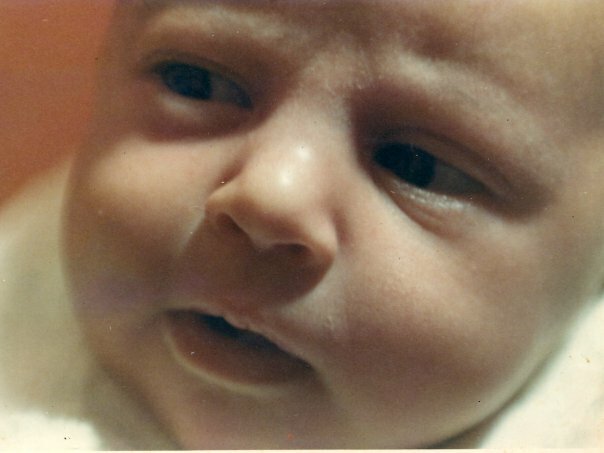 He was 11 days late, weighed 8lbs 2oz and I had him at home, my midwife’s name was Gill White……My Christian name and my foster-parents surname! With a name like that, how could she anything other than great! Joel was a result of the electricity strike……What else are you going to do when there’s no telly ha ha!! Joel was the easiest birth I ever had, not just because it was the shortest labour, Just 3 hours from the very start at 3 am, but because he just swam out…….I always knew he would be a swimmer! 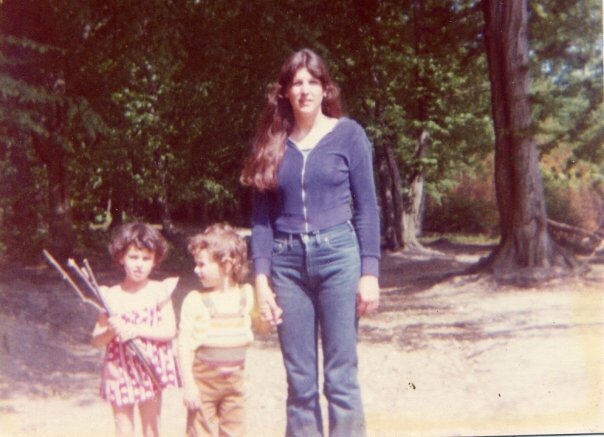 This photo was taken late summer 1972, no I’m not fat, I’m pregnant!! Corrina had just learnt to walk and we were out for the day with Hazel & Roy (my foster-parents) practising her new skills on the beach……For a safer landing! The dog is my old best friend George. 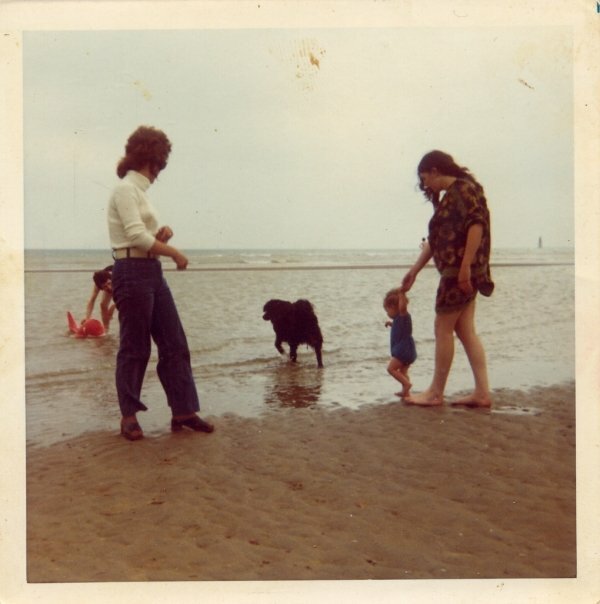 Out with my mother-in-law this time, it’s summer 1973, so Joel would be 7-8 months old and we are at Margate. 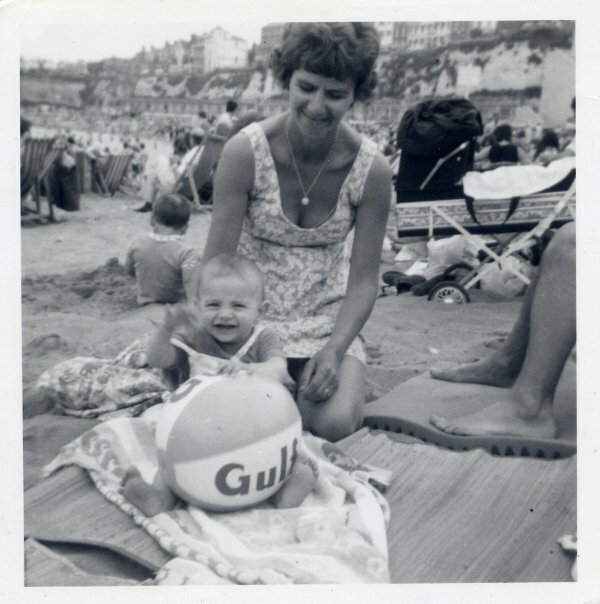 Joel was the perfect baby, very happy and content……Just so long as l was in view…….Mummy’s boy! Still Corrina was a proper daddy’s girl, so it just seemed fair……. That’s why she took it harder than Joel when her dad left when she was not even 5 years old…..Hey Corrina you backed the wrong horse! No, I took them both everywhere with me, these children were (and still are) my life and the best creation ever! 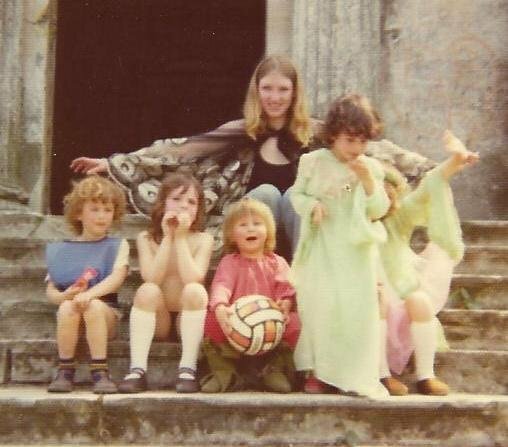 Me and my gorgeous children out for the day with some of me mates down at the Rochester castle gardens, summer 1974. I have never understood the attitude of some people who think their lives are over when they have kids because they are tied down, if this is a ball & chain, then it’s a gold one! Children are the gift that keeps on giving. I AM SO BLESSED! I have never kept my children from what I do, be it socially or work, they are always at the centre of my life, they are why I live. Cobham Woods was a favourite haunt for me and the crew…..We spent many happy moments here……..and indeed had parties for the kids at the Cobham Mausoleum …………. 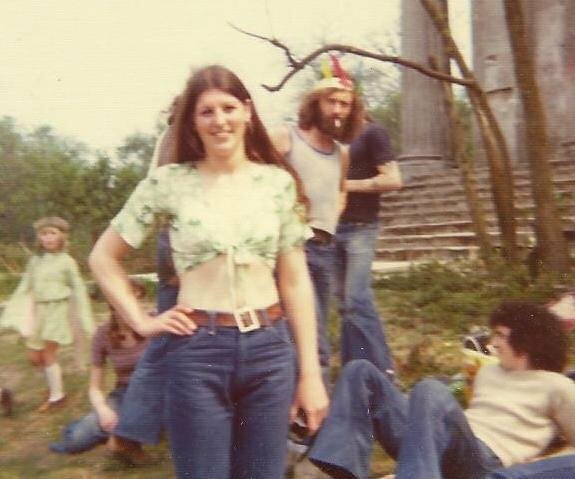 Corrina’s fifth birthday party at Cobham Mausoleum 1976…. I made her fairy dress. 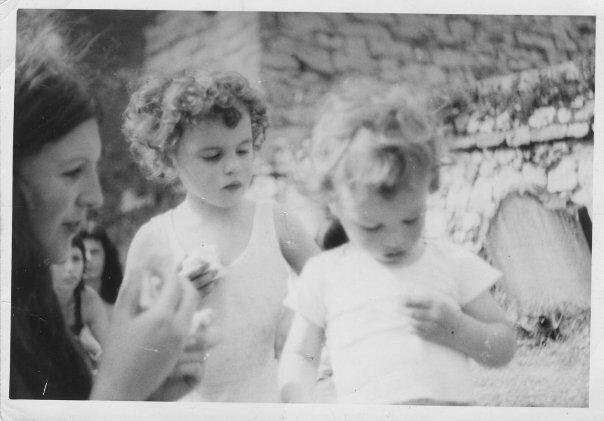 Me (Gill)…..“Corrina was always getting lost, she was trying to leave from about 18 mths, she was off looking for more sensible parents (and ones with more money!!!!!) lol. We had the wickedest parties for the kids……In fact these are the ones l can remember the most……Maybe cause we were sober for them? For one of Joel’s parties l can remember we (the adults) played blind-man’s bluff, it was in our smallish flat in Short’s Way, Borstal. People were moving the furniture around so I didn’t know where or which room I was in……I can’t think when I laughed more…..almost wee-ed myself with laughing…..I think the kids thought we were very silly, they often were the only adults present haha! 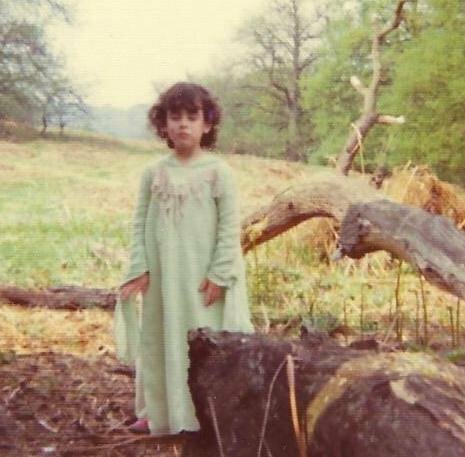 THE STORY OF WHEN WE LEFT CORRINA IN COBHAM WOODS! Yes I guess Corrina would have been eight or nine, it has to be either late summer 1979 or summer 1980 because I was with Simon and I didn’t meet him ’til summer 1979, a whole posse of us in various vehicles went off to Cobham Woods for the afternoon. Come time to leave I presumed she was with her best friend Heidi, cause that’s who she was always with, in their car and they thought she was with us in our car……She was off picking flowers! She saw the cars drive off and thought ‘oh dear?? ?’ When we got home I went round to Heidi’s house, she lived very near, to pick up Corrina and when she wasn’t there!!!!!!!!!!!! I felt the blood drain from my brain…….An unspeakable dread came over me and I was frozen like a rabbit in a headlight. All my friend’s snapped into action, Heidi stayed put with Lin, just in case Corrina showed up back home and the rest of us went back to Cobham Woods to search for her. We had all the bikers, who often rode round the woods on their bikes, all over the woods searching for her…..All the time in my head was ‘What if someone has taken her!’…………Meanwhile Corrina…..Oops, sees cars going without her, thinks ‘Drat, how am I going to get home now?’ ‘I know’ she thinks ‘I’ll catch the bus!’ and then ‘but I haven’t got any money’. Anyway she went to the nearest bus-stop and a nice old lady took her on the bus to Rochester Police Station and they brought her back home…….Mean while in Cobham Woods no sign of Corrina, the situation in my mind was getting more and more desperate…..I kept thinking ‘ What if…What if….What if I never, ever see my little girl again!’ These were the days before mobile phones. I walked to the phone box, I decided to ring my friend Lin to tell her that we couldn’t find Corrina and that we were going to call the police and she said ‘ Don’t bother they’ve just left, and Corrina is here’ Wow all the cares of the world were lifted from my shoulders! When I saw Corrina I didn’t know whether to scold her or cuddle her……Of course I cuddled her, I never wanted to let her go! Afterwards when thinking about it, it was definitely not Corrina’s fault in the slightest, the blame was all mine. Me posing on the same occasion at Corrina’s fairy birthday party…Good times. 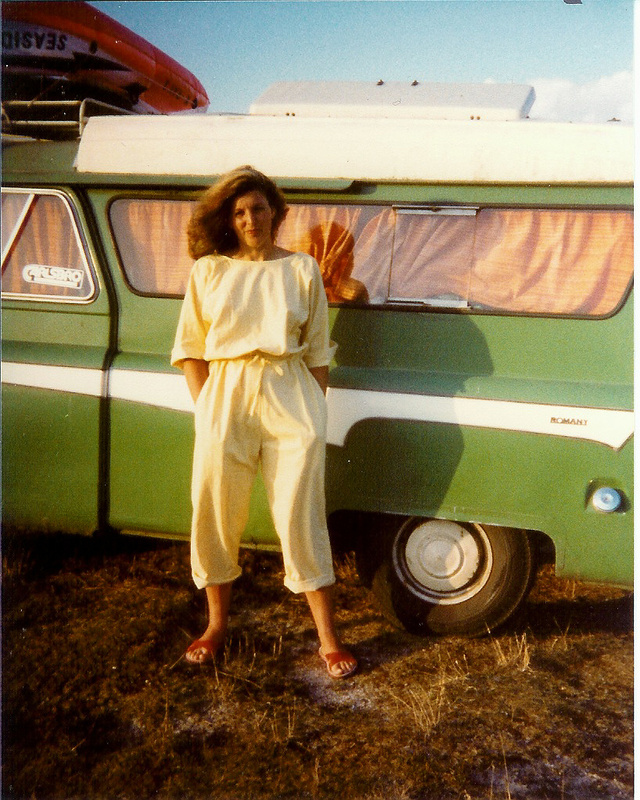 Most peoples biggest nightmare….Two adults and two kids and in a tiny caravanette, which you couldn’t swing a cat in…..Not so us, we had the best time ever……..
Me, early in the morning (looks like Corrina and Joel aren’t up yet) and the beautiful Romany CA Bedford in Cornwall, Summer 1983……I loved this little camper van. We left at the end of July and came back just in time for school in September! then St Ives, North Devon and up to South Wales………..Corrina the Surfing Queen! Joel the poser! …..Til the big wave comes…..HELP!!! Who would have thought he would turn out to be the best swimmer l’ve ever seen and as a youth a life guard! Filed under Turning it Around - Motherhood.